Two key figures rendered the historic US-NK summit possible Tuesday, breaching the language barrier between the US and North Korean leaders: the interpreters. 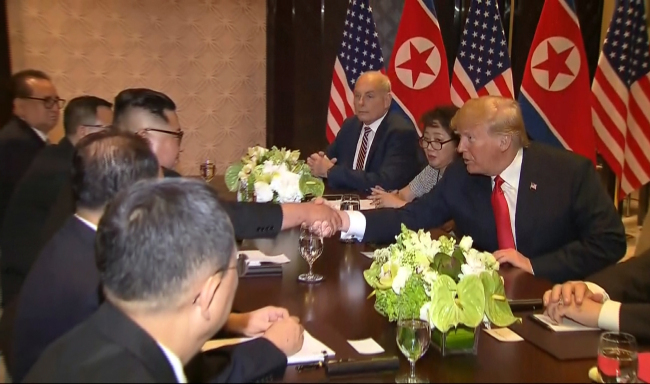 The pair have attracted much attention as the only people privy to the full content of the private meeting between the two leaders. Kim Jong-un’s interpreter has been identified by the White House as Kim Ju-song from the North Korean Foreign Ministry. 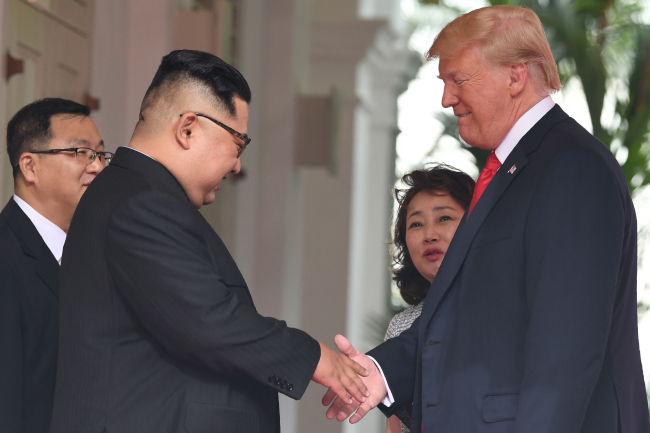 Accompanying US President Donald Trump is Lee Yun-hyang, 61, division chief of Interpreting Services at the State Department. Lee was also the sole woman in the room during the proceedings at the Capella Hotel on Sentosa Island. The veteran interpreter, referred to as “Dr. Lee” by US presidents, is a pivotal figure in the US diplomatic meetings, having offered her services for the George W. Bush and Obama administrations in the past. Lee began serving at the State Department as the senior diplomatic interpreter in 2008, and went on to become the Interpreting Division’s general branch chief. She has been known for vocalizing her feminist principles in the past, choosing to raise her daughter in the US after experiencing discrimination against women in Korea. “I cannot raise my daughter in a country that discriminates against women so much,” Lee has been quoted as saying. Lee has spoken in the past about how people would question her choice to continue working after giving birth to two children, and how women are often not hired simply for their gender. Lee has also expressed wishes to write both a textbook on interpretation and a memoir of her many travels and experiences in diverse cultures. The expert originally majored in vocal music for her undergraduate study at Yonsei University in Seoul, after having spent three years at an international school in Iran during her middle school period. She worked as a reporter for the school’s English-language paper Yonsei Annals, occasionally interpreting on the side. Lee later gained a master’s degree from Hankuk University of Foreign Studies’ Graduate School of Translation and Interpretation. She then taught at the Graduate School of Translation and Interpretation at the Monterey Institute of International Studies for eight years. In 2004, Lee went on to teach and head the translation and interpretation center at Seoul’s Ewha Graduate School of Translation and Interpretation. During this period, Lee obtained a doctorate in interpretation at the School of Translation and Interpretation, University of Geneva, Switzerland.